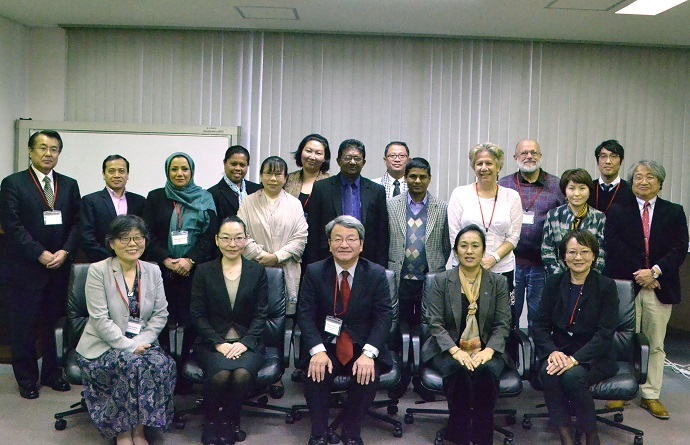 The “2016 IRCI Experts Meeting on Mapping Project for ICH Safeguarding in the Asia-Pacific Region” was held from 18 to 19 November 2016 at Sun Square Sakai, Osaka, Japan. A total of 25 ICH experts from 14 countries within the Asia-Pacific region attended this meeting, including observers from the UNESCO Beijing Office and Agency for Cultural Affairs, Japan. On Day 1, the results of the 2016 literature survey in following eleven countries (New Zealand, Palau, Nepal, Sri Lanka, Japan, Mongolia, Vanuatu, Myanmar, Cambodia, Malaysia, and Iran) were presented. Based on the analysis of the recent trend of research on ICH safeguarding in these countries, the importance and challenges on further promotion of the ICH safeguarding studies in the Asia-Pacific region were discussed. Day 2 included discussions on the assessment of the literature survey methodology, the plan of the 2017 Experts Meeting co-organised by IRCI and Seijyo University, and the future orientation of the Mapping Project. The overall discussion led participants to reacknowledge the significance of safeguarding ICH as an emerging research theme in the academic field, and the needs to promote further cooperation among researchers and research institutes where IRCI is expected to be a hub of the new stream of the ICH safeguarding studies.